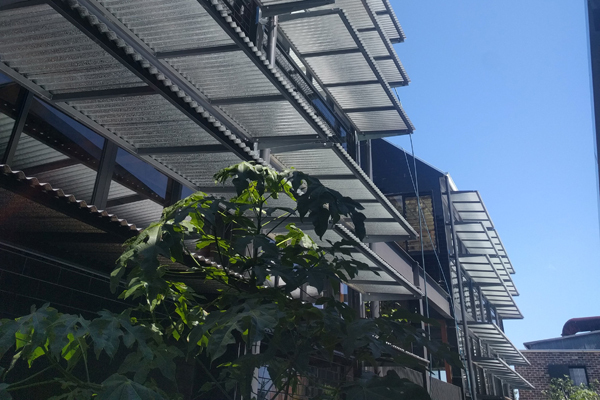 Halliday Engineering was contracted by Andrew Burton Constructions to design, fabricate and install custom awning brackets for a factory conversion in Balmain. 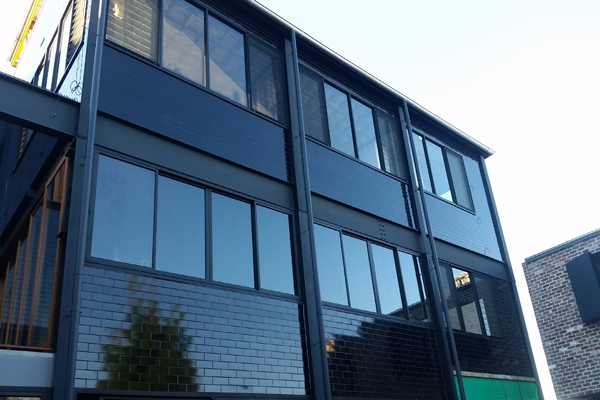 With an architectural design that captured the industrial roots of the building, it was the original steel frame that provided the challenge. The steel columns were neither straight nor true, adding to the complexities of coming up with an engineering solution for shade and privacy. 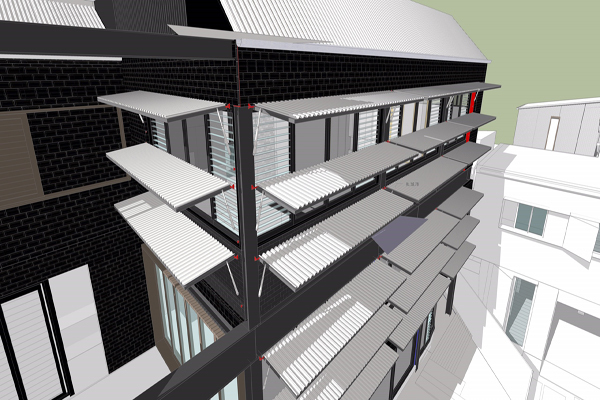 Using the latest 3D modelling software and our specialist engineering experience, we fabricated awning brackets that accommodated the building’s structural imperfection, and blended these with the architect’s industrial aesthetic (Carter Williamson).